The Michelin Pilot Road 3 is a great tyre for sport oriented bikes. it maximises riders enjoyment with unbeatable treadlife ( advanced siping technology) and high mileage. It sets a new benchmark for motorcycle tyre grip. Excellent tyre. I use these on a ZZR1400 in all weathers and always get at least 12000 miles from a rear. No reason at all to change until Tyreleader run out of stock! fantastic tyre wet or dry.used these on my GSXR1000 for years.get 8000 miles from a rear and i'm no slouch out on the road.wouldn't fit anything else to my bikes now.don'y waste your money on sports tyres,these are all the tyre you'll ever need. 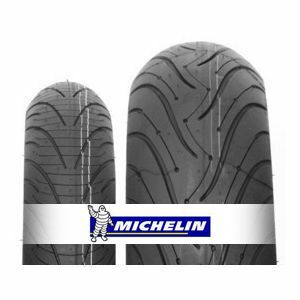 To review the Michelin Pilot Road 3, you first have to log-in by clicking here.